​He has been given a second chance at life. A second chance at revenge. He is the bridge between the Quick and the Dead. He is…THE SCYTHE! Out of the tragedy of the Tulsa Race Riot of 1921, a two-fisted hero rises from the grave! Inspired by the pulp magazines of the 1930s and 1940s, a tale of action, adventure, thrills and chills await fans of Dieselpunk, die-hard pulp fans and readers who just love a gritty story that packs a mean punch. Enter a world in which Gangsters, Flappers, vampires, robots and the Ku Klux Klan all roam the same dark back streets; a world of grit, grime and grease; a world of hard-boiled gumshoe detectives and mad scientists; a world where magic and technology compete for rule over the world. Dieselfunk has emerged in The Scythe…and the Roaring Twenties will never seem the same! If you had a second chance at life would you take it, even if that chance meant you would be facing supernatural horrors? Author Balogun Ojetade answers that question with his exciting action packed novel. Scythe and his ally stand off against the evils of both the natural and unnatural world and learn that everything is not always what it appears to be. Annan, a war hardened Ashanti commander, is a captive on board a slave ship. In the midst of a horrific journey, he leads a revolt that’s interrupted by a descending alien vessel. Annan and his fellow Africans find themselves confined on another ship, far from Earth, sharing a common captivity with the European sailors who formerly held sway over them. The ship is commanded by a ruthless warlord who uses the captive humans as unwilling soldiers in a savage war against the inhabitants of a distant world. Annan is as intolerant of servitude to non-humans as he was to humans. Neither his captors’ unearthly origins nor their deadly high technology will prevent Annan from attempting to seize his freedom. But if his rebellion is to succeed he must first unlock a secret that may very well give him and the other humans a fighting chance. Same revolt, different skies. Blood will flow! This is an outstanding story filled with action and adventure. Transporting human cargo during the Atlantic slave trade, a struggle for freedom on a slave ship ends abruptly when both prisoners and slavers are transported aboard an extraterrestrial spacecraft. The humans are subjugated by an alien force with superior technology, strength and numbers who are bred for battle. The only hope of escaping their captors is for a struggle for independence to arise, forcing Africans and Europeans to work together, assuming they don't kill each other first. After a family tragedy, Jenna Bell McBride returns to her Father's ancestral home, a bitter half sister, and painful memories that have remained secret. What force remains tied to their family land, waiting to draw in more victims? 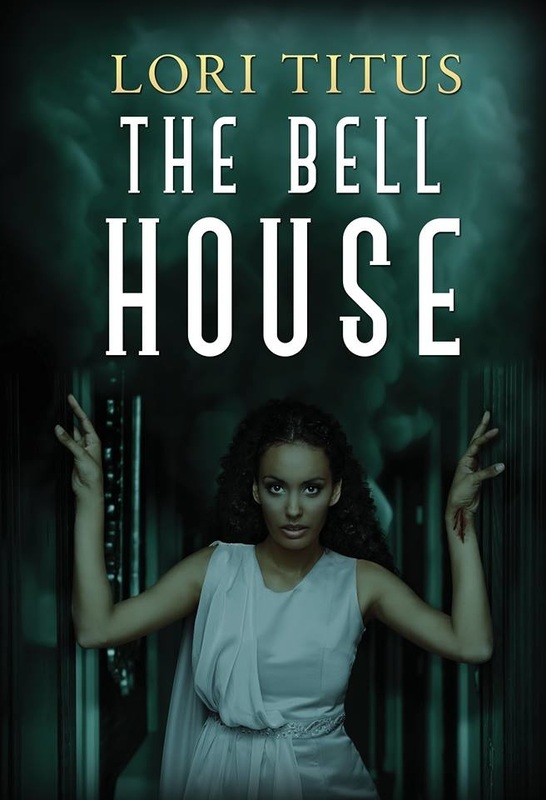 The Bell House tells the story of two half-sisters, Jenna and Diana. Jenna recently lost her husband to a fire and is trying to work through her grief by writing a book about her family's tragic past. Diana, a control freak, convinces her sister to move back to the family property and stay in one of the two houses there. Though the sisters’ relationship has always been strained, Jenna never thought bad of her sibling. The same cannot be said of Diana who despises everything about her sister. The Bell House tells the story of two half-sisters, Jenna and Diana. Jenna recently lost her husband to a fire and is trying to work through her grief by writing a book about her family's tragic past. Diana, a control freak, convinces her sister to move back to the family property and stay in one of the two houses there. Though the sisters relationship has always been strained, Jenna never thought bad of her sibling. The same cannot be said of Diana who despises everything about her sister. In the 15th century on the African Continent a young prince flees his homeland of Kongo, vowing to seek revenge for the murder of his father and the enslavement of his family and his people. He triumphs over the slavery and the fighting pits of Mogadishu to become a legendary fighter and respected merchant. From the Swahili cities of the East African Coast to the magnificent Middle Kingdom of Asia, Changa and his crew experience adventures beyond the imagination. Changa will not rest until he has fulfilled his promise to his family and his people. The anchors are raised and the sails unfurled. Let the safari begin! Changa's Safari is an epic tale with fully defined characters and a well constructed story. Author Milton Davis never fails to spin an excellent adventure. Milton Davis never fails to provide spinning an excellent tale. In this case, three excellent tales.Milton Davis never fails to provide spinning an excellent tale. In this case, three excellent tales.